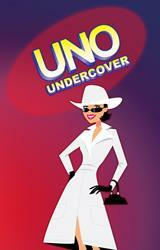 UNO Undercover lets players experience their classic favorite card game in two exciting modes. In Adventure mode, help Felicia Blue, an undercover secret agent posing as a professional UNO player, track down spies, foil their evil plots and regain her former glory by winning the UNO World Tournament. 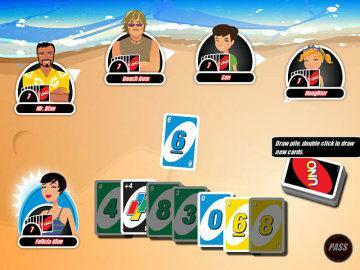 During the adventure, you will complete a series of missions and challenges by playing UNO in a variety of venues against a cast of fun and eccentric characters with unique play styles and special talents. Quick-Play Mode lets players drop in for a few rounds of classic UNO game play, set in beautifully themed locations against challenging opponents, ranging in difficulty. The childhood favorite among card games UNO is brought alive with an interesting spy story and some wacky adventure so you can almost consider it part of the adventure games family. The plot is a mixture of Austin Powers, James Bond, and Kate Archer from the spy game No One Lives Forever. You play the role of Felicia Blue who went all the way to the final round of the UNO world tournament but was disqualified for turning up late. She is a retired undercover agent for the UNO Rules Enforcement Agency but is summoned back again to use her UNO playing powers and tackle her old arch nemesis Madame Zero. The basic game-play follows the classic UNO game and players are dealt seven cards. One card is placed face up on the discard pile. At each turn, you can discard any card of the same color, type, or number as the top card on the discard pile. Not having a card to discard, would lead you to pick one from the draw pile. As with the original card game, when only one card is left, you must call â€œUNOâ€, else your opponent might challenge you and make you draw more cards from the pile. There are special cards with specific traits like â€œCloneâ€ cards allow you to make any card in your hand match any other. â€œLucky Croc Toothâ€ cards protect you from other player's draw cards, and â€œShooting Starâ€ cards let you discard up to four cards of one color in a single turn. Some others are toe-hold, double cross, highland two-step and sleep cards. There are two modes to play games: adventure and quick play. 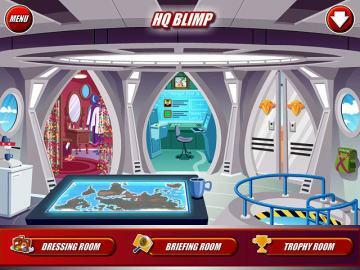 The quick play mode has the player working on rounds of UNO with AI players, set in beautifully themed locations. Players are taken to different interesting locales and cities like Paris and Morocco. The graphics and artwork is cute and beautiful and there are plenty of cut scenes in the adventure mode to keep the players entertained. An enjoyable, light and casual game, UNO Undercover has decent voice acting and a catchy atmosphere of classical card games.